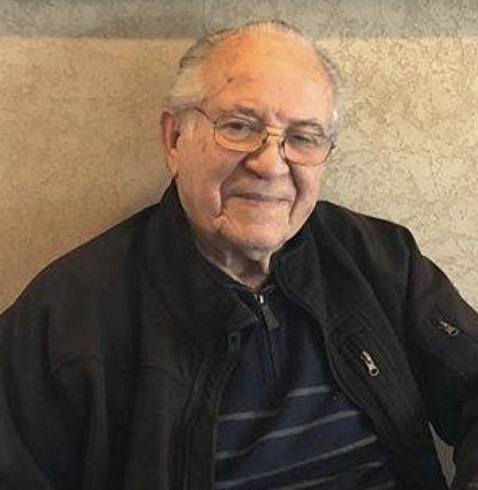 Theodosios “Ted” Jovaras, 89, Overland Park, KS passed away October 13, 2018. Ted was born March 15, 1929 in Epirus, Greece. At a tender age of 2, he moved to the island of Limnos, Greece where he grew up and worked in his father’s photography business. Ted later immigrated to the United States, like many, pursuing a better life and opportunities. After working several odd jobs to support himself and his family, Ted settled into the restaurant industry. A 50 year veteran of the restaurant business, co-owning the Bell Restaurant on 39th and Main, but most notably founded Mr. Gyros Greek Food and Pastry in 1982. Working diligently with his wife, and later his son and daughter in law, the Jovaras family continues to operate Mr. Gyros Greek Food and Pastry today. Customers will remember Ted sitting at his favorite table where he carried many conversations about his life whether you wanted to hear it or not. Above all, Ted was a simple man whose priority was always his family first. Mr. Jovaras was preceded in death by his wife Soula Jovaras. He leaves behind his son Chris T. Jovaras and his wife DeeDee who Ted claimed as his own daughter; his pride and joy, grandsons Teddy and Alekos Jovaras; brothers Kostas Jovaras and Alekos Jovaras; and sister Eleni Rosvanis. Visitation will be 6-8PM, Tuesday, October 16 at Annunciation Greek Orthodox Church, 12001 Wornall Rd., Kansas City, MO 64145 with the Trisagion at 7PM. Funeral services will be 10AM, Wednesday, October 17 at Annunciation Greek Orthodox Church; burial in Johnson County Memorial Gardens. In lieu of flowers, memorial contributions may be made to the church.